Home Visit us Out of season tours? The Mahanay Memorial Carillon Tower is available for tours throughout the year by appointment. 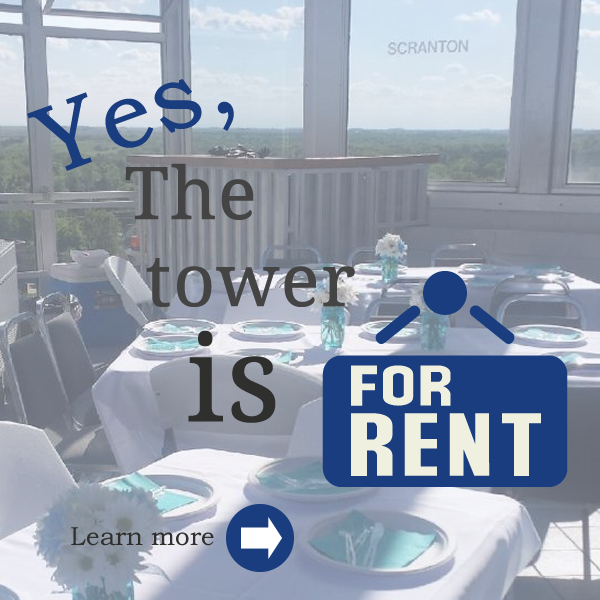 Simply call the Greene County Chamber of Commerce at 515-386-2155 to make plans for your group to spend time at the tower. The Tower is a tower for all seasons with a lovely view of turning autumn leaves in the fall, snow covering the landscape in winter, and freshness green sprouting in the spring. The observation deck is heated and air-conditioned for the comfort of visitors throughout the year. Combine your visit to the Mahanay Memorial Carillon Tower with other attractions in the area for a day long get-away or a weekend to remember.